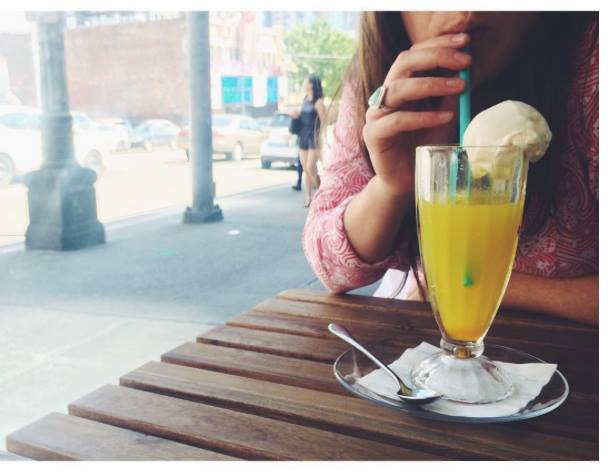 Ice cream season depends on your taste buds and response to the weather. For me, it struck on a particularly warm afternoon the other week. I’d picked my daughter up from school with an ardent yen for a creamy scoop. Molly Moon’s was nearest, so I indulged in one of my favorite flavors, sweet/sour Strawberry Balsamic, while my 8-year-old went with chocolate. 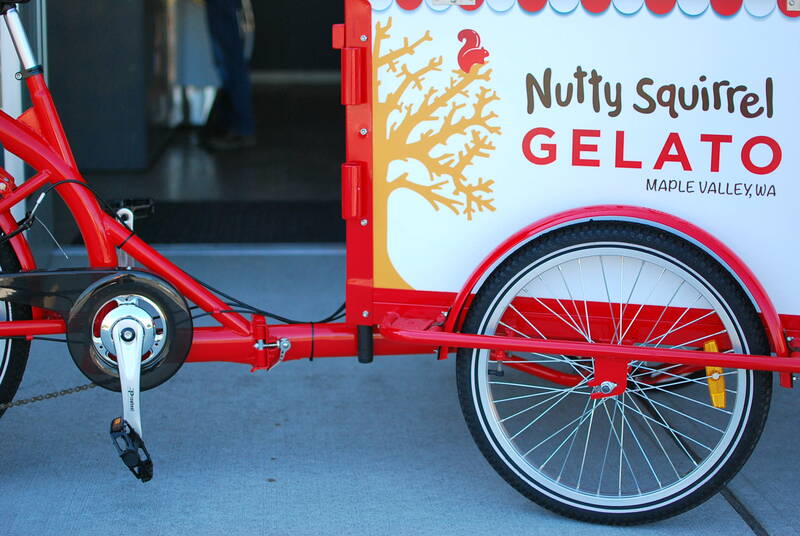 Just like that, ice cream season had begun for us. Fortunately, as the days get warmer and the lines at popular ice creameries get longer, there are new options to indulge your summery sweet tooth — including a just-opened retro soda fountain and Seattle’s first annual Ice Cream Festival, a one-day event on May 22. Here's the um, scoop, on all of it. Pike Place Market is undergoing a renaissance of sorts, with establishments such as Rachel’s Ginger Beer and Ellenos Yogurt staking out their flagship stores there. Now, add to the mix Shug's Soda Fountain + Ice Cream, a retro-style ice cream parlor that opened on First Avenue two weeks ago in the former Dragon’s Toy Box space. 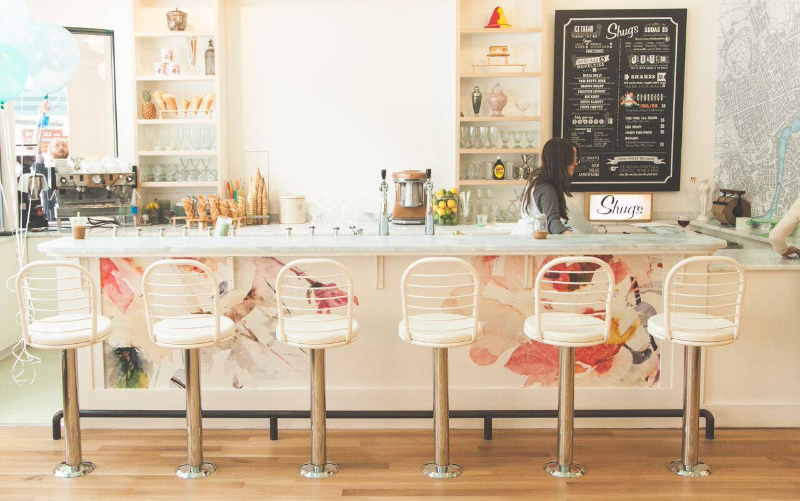 Started by husband-and-wife team Paul Dormann and Collen Wilke, Shug's boasts a real, vintage soda fountain from the 1930s, complete with a soda jerk to mix the fizzy carbonated water and flavored syrups (such as orange, lime and, of course, coffee). Sundaes and floats are made with ice cream from Lopez Island Creamery. The charms extend beyond sweets. Channel your old-fashioned side and sit at a swivel stool at a counter in front of the soda fountain and order up a classic such as an egg cream or a lime rickey; there are also tables and a walk-up window. Despite the obvious retro appeal, the space feels fresh and contemporary with pale blue walls, a marble counter and white leather stools. Modern twists on the menu include a Mighty-O Donuts sundae (oh my!) and, for grown-ups, floats spiked with liquor. Beer, wine and espresso are also available. Details: Open daily 11 a.m.–10 p.m. 525 First Avenue, Seattle. 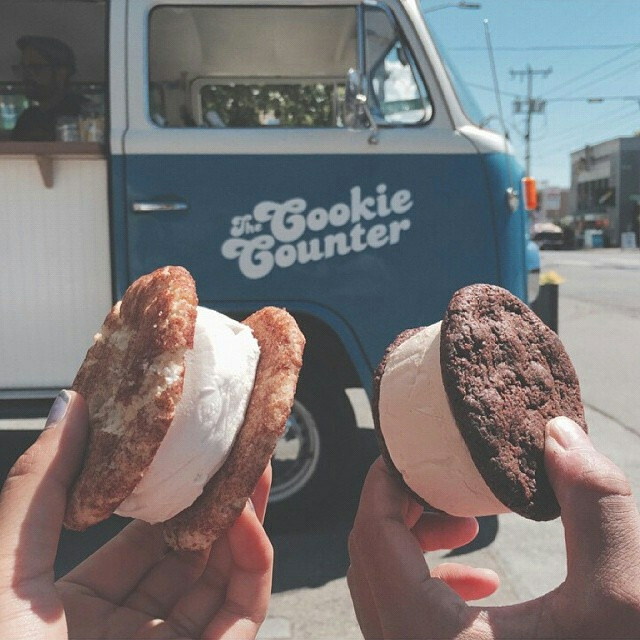 Here's some sweet news for fans of The Cookie Counter ice-cream bus, which sells vegan ice cream cookie sandwiches at several spots around the city from a vintage 1974 bus. In July, owners Chris Olson and Chelsea Keene opened its first brick-and-mortar location, a bakery, espresso and ice creamery. Find seasonal standouts (nectarine macadamia, roasted plum and blackberry lemon) and “Kinda Wacky” offerings (ambrosia, cinnamon toast cereal) as well as fun events such as a “Milk & Cookies Happy Hour” from 3 to 5 p.m., Tuesday–Friday. Details: Address is 7415 Greenwood Ave. N., Seattle. Check its Facebook page and website for updates and find the Cookie Counter bus schedule here. Sweet Bumpas: The brainchild of former Poppy pastry chef Matt Bumpas, this mobile newcomer sells small-batch ice cream (chipotle peanut brittle, strawberry cocoa crunch), sammies and gourmet candies from a cart at Seattle farmers markets including Des Moines, the Fremont Sunday Market and Queen Anne farmers market. Find news of Sweet Bumpas' whereabouts on his website and Twitter at @sweetbumpas.